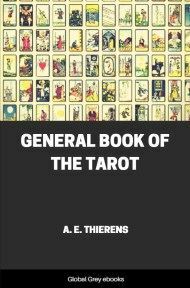 This book was one of the first to try to match the Tarot cards with astrology. Beginning with a theoretical section, it then discusses each card. Another feature of this book is a comparison of characteristics attributed to each card by some of the previous writers such as Waite and Papus. Includes images of the Rider-Waite-Smith deck of each card.